Ed Pasley and his wife, Carol, have found almost literally one hundred ways to give back to their community in what, when diagrammed, appears to be a spider web of interrelated organizations and activities. 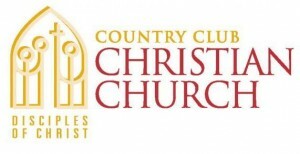 At the center of the web would undoubtedly be their church, Country Club Christian Church (CCCC). However, this web builds out in so many directions and at such lengths that the church/center is hardly visible from the peripheral areas. Ed and Carol serve on the Metro Missions Council of the CCCC. These are folks at their church who, as a small group, identify needs and focus the church’s resources to appropriate organizations around the city that help the needy. These resources may come in the form of dollars or volunteer hours, both of which are much needed. Once the missions are identified, the real work begins. One of the worthy organizations that the CCCC has made part of its mission is the Cornerstones of Care. This is an organization that helps foster children in the metro area. Ed and Carol donate their time mainly to the branch of this organization known as Give What You Got. This group takes in donations of all types of toys, clothing, etc. that need to be cleaned, stored and distributed. Carol also helps the Pathways division of GWYG which helps foster kids establish themselves as independent adults when the time is appropriate. Carol and Ed comb garage sales, among other markets, to find miscellaneous items that a foster kid might need to, say, set up living in an apartment. Another organization that the CCCC has deemed part of its mission is Cross-Lines, and Ed and Carol have deemed it part as theirs as well. Cross-Lines is in the Argentine District of the city, and operate the Cross-Lines Food Kitchen. Carol and her friend Cindy have volunteered to be responsible for lunch on the first Tuesday of every month. Not only are they there to serve the 170 – 270 people who might come to the kitchen looking for a warm meal, but they must perform the more daunting task of procuring all of the food that will be prepared and served and find all of the volunteers who will do it! This management task requires untold hours each month so lunch is ready on the first Tuesday. Through their work with Cross-Lines, Ed and Carol have been introduced to another group, Shawnee Community Services (SCS). SCS provides some of the food that they serve at the Cross Lines Food Kitchen, but they also run their own food pantry. Each Wednesday, volunteers that include Ed and Carol pick up baked goods and fresh goods donated from local grocery stores and deliver them to SCS. These goods are then distributed to patrons before they spoil in the hands of someone who cannot use them. Ed and Carol Pasley personify what it is to be a committed member of a community. They understand how many needy folks there are, and how many hands it takes to help them. They drive a lot of this process from their role on the Metro Missions Council, and he and Carol execute the ideas with their own hands. Ed is quick to say that Carol is the driving force for good works in our family.